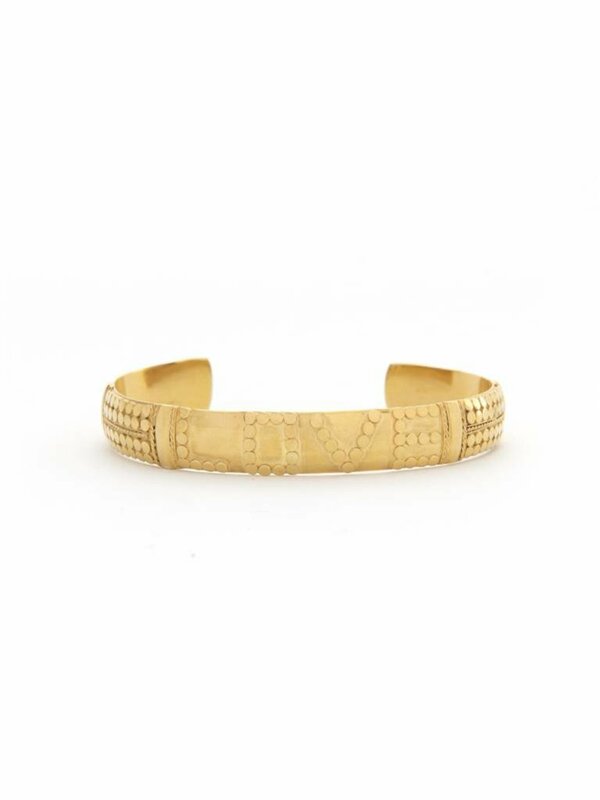 Wear or gift this medium width gold LOVE bracelet as a reminder to love and that you are loved. Every purchase creates a sustainable livelihood for thousands of Indonesian artisans and their families. Wear or gift this medium width gold LOVE bracelet as a reminder to love and that you are loved. The original LOVE bracelet created a social movement around the world, connecting the maker and wearer in a common bond of love. Every purchase creates a sustainable livelihood for thousands of Indonesian artisans and their families. The circular dots traditionally symbolize rice in Balinese culture. Rice & LOVE are both plentiful and provide sustenance to the communities who make these bracelets.